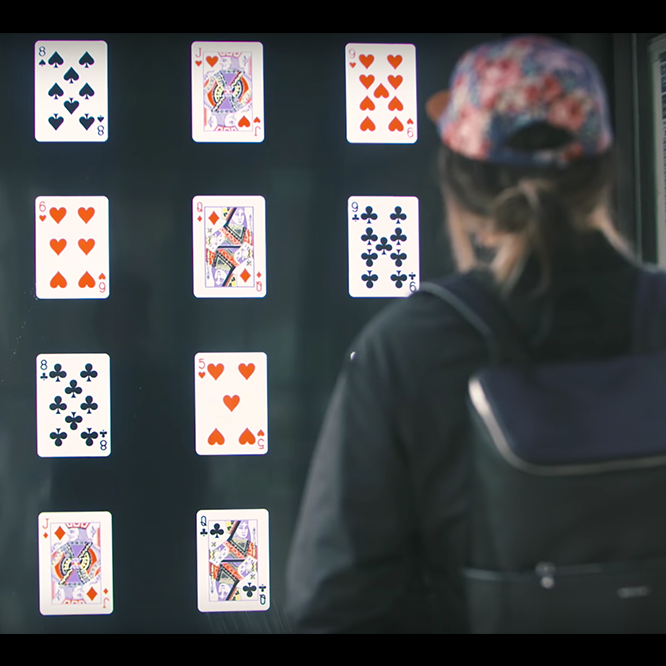 The assignment: Via Unity3D, Cortex developed an application that was connected to a customized eye-tracking system integrated to a bus shelter billboard in order to deliver an award-winning experiential marketing stunt. Tests were carried out in order to configure it in a way that it would support a changing environment and users of all kinds. It is known that the best technology is one we don’t see, but is it possible to turn technology into magic? That’s the challenge LG2 agency offered Cortex as part of an experiential marketing campaign for Quebec city’s magic festival. Let the illusion begin! Via Unity3D, Cortex developed an application that was connected to a customized eye-tracking system integrated to a bus shelter billboard. Tests were carried out in order to configure it in a way that it would support a changing environment and users of all kinds. The application was a huge hit, impressing countless users who all tried to figure out the secret recipe to this amazing experience. While being technologically complex, the simplicity and creativity behind this idea caught the eye of a great deal of media around the world. It is one of our most awarded creations and is a pioneer in the experiential marketing field. The Créa Contest aims to reward the best marketing efforts through every media in the province of Quebec. The contest created in 2008 by InfoPresse is one of the most recognized in the technological & marketing industry. The AToMiC awards aim to reward members of Canada's marketing & media industries. The prizes are given to companies that have achieved in the advertising, media creativity, technology and content areas. The Marketing Awards are the top awards in the field of ad and strategy creativity. Each part of advertising & branding projects, whether it's tech, strategy, concept or other, are at the honour.